48 hours prior first booking day we accept any reason for cancelation. An 50% down payment will be made through bank wire transaction. In case of any cancelation , the 40% downpayment will be refunded.All aplicable taxes - transaction fees will be paied by customer. 12-18 and 18-21 only accompanied by a group leader responsible for the group. 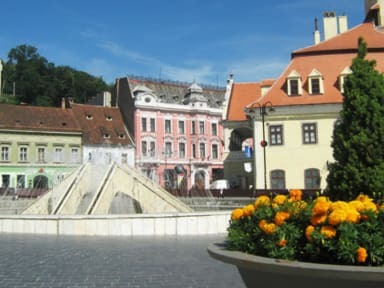 Hostel Mara is situated in The Council Square, the Main Square in the heart of the Old City; in some places it is still surrounded by the original defending walls and watch towers. Its buildings remind of the German inheritance of the region. The square is surrounded by shops, coffee shops and restaurants. Puddlers and strolling musicians give life and colour to the square. We offer you three bedrooms each one having it's own bathroom with all the necessary comfort and a NEW fully equipped kitchen with all you need to cook your own meals. 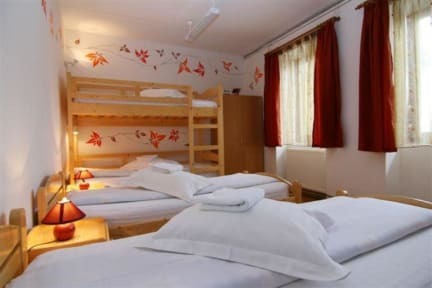 The bedrooms have 4,6 and 8 beds each (total of 18 simple beds) multi-staged 2 by 2, each of these bedrooms have its own bathroom with shower and toilet. Отличный удобный хостел в самом центре города, прямо на центральной площади. Хозяйка - прекрасный человек. Всем рекомендуем это место.